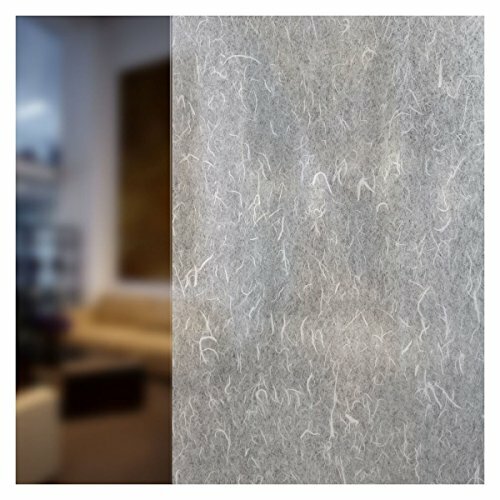 Buy Decorative Film's Rice Paper Privacy Window Film is phenomenal in its originality and for its aptitude at replicating something that is typically a paper material. Adhesive and therefore stable, the Rice Paper decorative window film perfectly captures the paper-like oriental texture into a sheet of shiny film. It is semi-opaque, significantly concealing the objects sitting behind it and obscuring direct visibility. RICE PAPER TEXTURE. Replicate the look and feel of an authentic rice paper on your window. ELEGANT DESIGN ART FILM that allows you to express your creativity and originality.